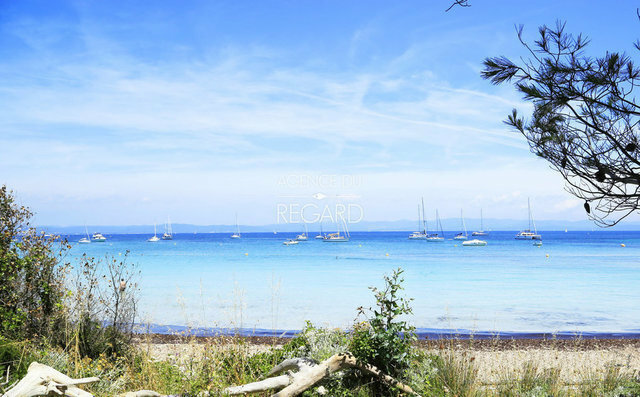 Porquerolles Island - A wild and authentic property on a plot with an exceptional area of 10 005sqm, hosting a main house and his friend's apartment in a rural setting mingling softness, nature and fresh air. Only few minutes by walk from the village and the most beautiful sandy beaches. It offers a view of the Fort St. Agathe, the mill and the village rooftops of Porquerolles. The house of about 180sq was built in 1960 and renovated in 2003. It has 5 bedrooms, a bright living room, a cellar for bicycles and opens onto large terraces nestled in the heart of its garden of endless scents in the greater tranquility.